A CookTaleThe king of steak cuts deserves to be handled accordingly. Keep the preparation simple — handle it as little as possible and grill it until it’s rare, 120 F or at most, medium rare, 125F. 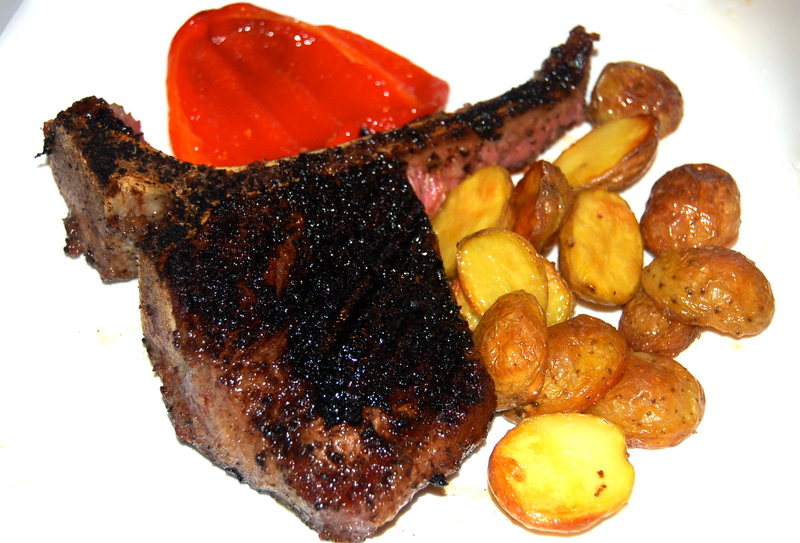 If you prefer your steak any more well done, don’t waste your money on a cut as pricey as Porterhouse. 2. Heat a cast iron grill pan to smoking hot. Add the Porterhouse, weigh it down with a grill press & cook for 3-1/2 minutes a side or until the internal temperature is 120F for rare, 125F for medium rare.